LanArc offers full service landscaping from consultation to design, installation and maintenance. LanArc serves the greater Triangle area including Raleigh, Durham, Chapel Hill, Cary, Wake Forest, Holly Springs and North Raleigh. In addition, LanArc grows many of the plants they install, which allows them to select the right plant for the location. 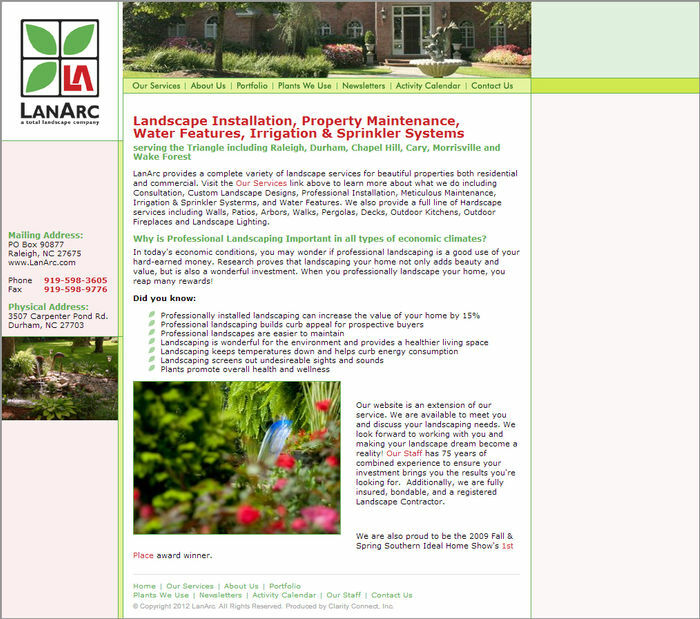 LanArc grows a lot of the plants they install, so they used our plant database manager to add information about the plants they frequently used. Additionally, they used the Monthly Activities Editor to add monthly activities for their landscape customers to keep their property in tip-top shape.